William McNabb III has served as chairman of the board of Vanguard since 2010. 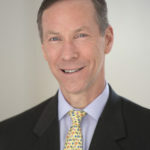 He joined Vanguard in 1986, served as CEO from 2008 through 2017. William also serves as a director of Vanguard Marketing Corporation, and he served as a managing director of Vanguard from 1995 to 2008. He is active elsewhere in the investment management industry and serves on the executive committee of the Investment Company Institute’s board of governors; he was chairman of the board from 2013 to 2016. William is also chairman of the board of the Zoological Society of Philadelphia, and is on the boards of CECP: The CEO Force for Good and the United Way of Greater Philadelphia and Southern New Jersey. He earned an A.B. at Dartmouth College and holds an M.B.A. from the Wharton School of the University of Pennsylvania. Before going into finance, he taught Latin to 7th and 8th graders at The Haverford School.